This Bible translation is a contemporary revision of the 1952 Revised Standard Version, which was in turn based on the American Standard Version of 1901. 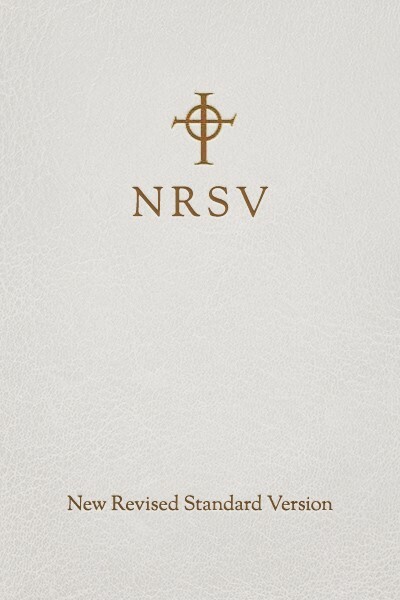 The translators of the New Revised Standard Version, or NRSV, published in 1990, took into account the recent discovery of still older biblical manuscripts that were not available to the translators of the RSV. They also examined linguistic features of the text in more depth and considered changes in English usage. Basing their work on the maxim, “As literal as possible, as free as necessary,” the translators’ desire was to preserve what is best in previous English translations while producing a new one of high quality and enhanced accuracy. This version includes the deuterocanonical books of the Old Testament.